But again, I am increasingly ignorant of the world’s literature. Which is why discovering Patrick Modiano is such a wonderful treat. The French Modiano is the 2014 Nobel Prize for Literature winner. And until a New Yorker review of his most recent novel, I had not heard of him nor his winning. Lately, I must have my head very deeply buried in the sand. Honeymoon (published in 1990 in France/1995 in the U.S.) is the novel I decided to start out on. The language is direct, bare and sparse–reminding me much of the first half of Camus’ The Stranger. But the story is intricate and convoluted, told in such an honest style that makes the intricacies and coincidences of life seem matter-of-fact. There are two stories that braid themselves around two middle and connected ones. 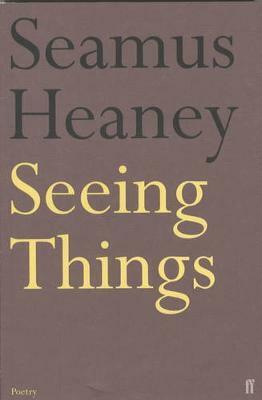 On the first page the narrator discovers that a woman in the hotel in Milan where he is staying has committed suicide. He then learns that he had known her once decades when she and her husband had picked him up hitchhiking and had taken him in and cared for him for several days. 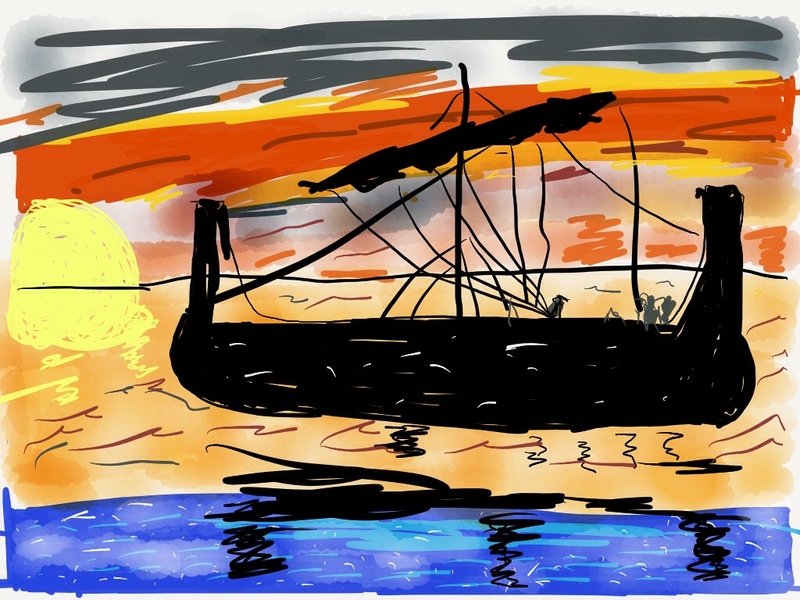 This coincidence sets the man on a quest–of sorts. After his wife and his business partner (her lover) drop him off at the airport where he is to fly to Rio de Janeiro for business, he disappears. He takes a plane back to Milan and then returns to Paris, where he goes to ground and hides in the outer arrondissements. His purpose is to make sense of the woman’s suicide, of her life. We find that he has been obsessed with this couple for a long time, ever since his youth, long before the knowledge of her death. He has taken numerous notes, cut out clippings, and prepared to write a memoir of the couple, and so he tells us of their hardships and trials during the Nazi occupation of France. While we at the same time are following his exploits in the Parisian neighborhoods, aware of his wife’s comings and goings, and preparing for a new life in his rougher world. All the plot threads, in a way, revolve around a single newspaper clipping from the 1940s searching for the woman who suddenly went missing when she was sixteen years old. (From what I have learned, the actual clipping is what sent Modiano himself to fashion his story.) She had simply stepped out of the Metro and moved from one world–a constricting and dangerous world in Nazi occupied Paris–to another. Her abrupt relocation parallels the narrator’s who moves from his bourgeoise life as a documentary filmmaker married to a high-fashion model to an uncertain world in the boondocks of Paris, seeking for understanding of the couple who once showed him much kindness. I said that I had started out on Patrick Modiano by selecting Honeymoon. It is only a starting point. I look forward to picking up another. 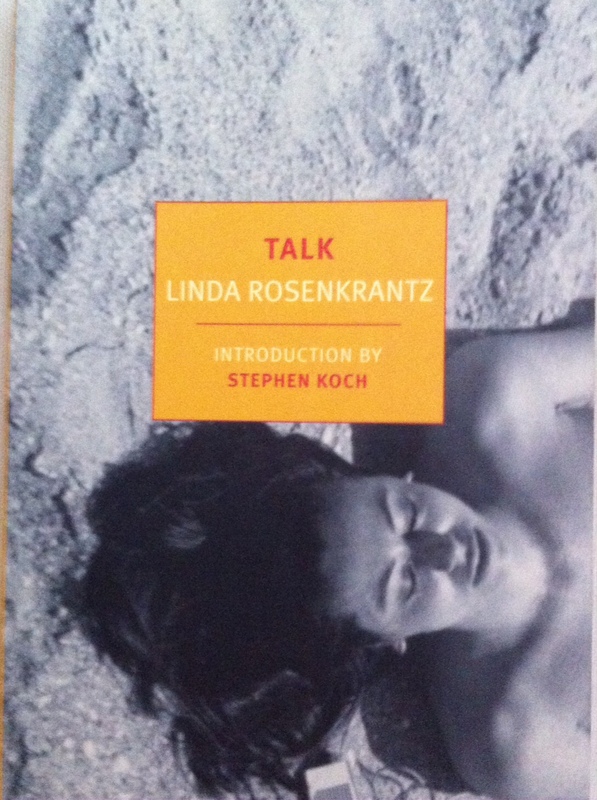 In the introductory material to the New York Review of Books‘ re-issue of this 1968 novel, the writer Stephen Koch states that Linda Rosenkrantz was the precursor of “reality tv” with this inventive, unusual work. He says that Rosenkrantz’s technique, far more than anticipating reality television, was even the precedent for everything from Friends to Broke Girls. His latter assertion, he bases on the fact that this novel deals with two “twenty-something” women and one male talking about relationships, hopes, dreams, and reality. Before Rachel, Monica and Ross dished, Rosenkrantz’s characters were doing the same. And before Snooki and the “Situation” shared more than we wanted to know about their adventures at the Jersey Shore, Rosenkrantz’s kids were already at it. And how she did it was that she took a tape-recorder (they were very bulky in the mid-1960s) everywhere she went one summer, on the beach, in the shore-houses, at clubs. The concept sounded wonderful. 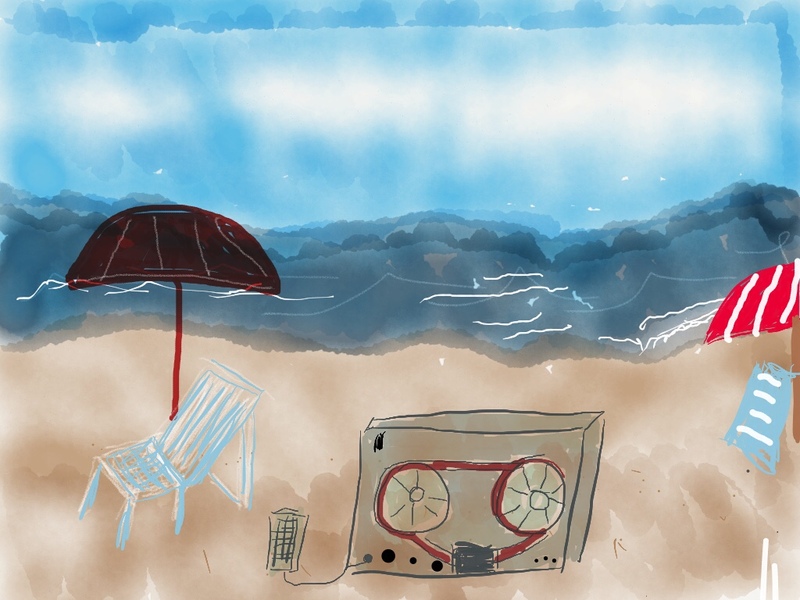 Rosenkrantz took her tape recorder and recorded her friends as they made dinners, basked on the beach, drove to clubs, and packed and unpacked. At the end of the summer, she had more than twenty-five characters speaking the truth–or at the very least speaking. And they speak a lot. The three are all at the shore. They are all in therapy. And they share their therapeutic insights with us. And on top of it all, there is an odd love triangle. Take these three people, have their conversations recorded, and then transcribe them in a novel may have worked 50 years ago, but it does not work today. The psychoanalysis is juvenile, the relationships are sophomoric, and the conversations–for the most part–are deadening. Koch was right when he said Talk was the precursor to reality television. He just didn’t tell us that it was the precursor of all that was inane, self-indulgent, and titallating about the genre. Talk might have been ground-breaking in 1968, but in the 21st century, it doesn’t even work as anthropology. Imagine sitting on a towel on the beach next to these three people, discussing their analysis, their love lives and more. It would be enough for me to hope for a rip tide.